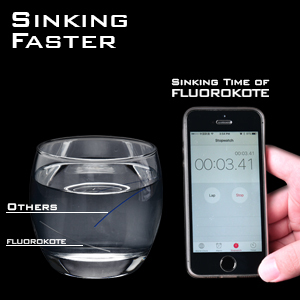 KastKing FluoroKote is a combination of the No.1 selling KastKing Copolymer Fishing Line with high-tech 100% fluorocarbon coating that reduces the line's visibility when immersed in water. 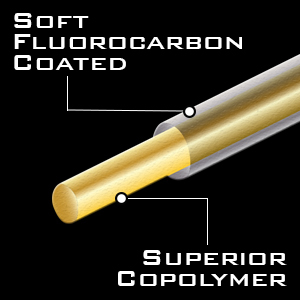 The combination of the two materials maximizes the advantage of fluorocarbon invisibility with the low memory and superior castability of copolymer. 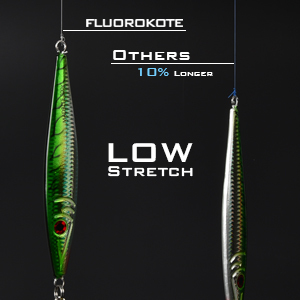 Low Stretch makes KastKing FluoroKote Fishing Line a great upgrade from mono line and ideal low cost alternative to fluorocarbon line. 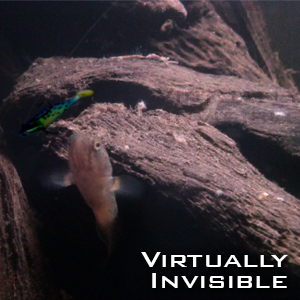 The combination of the two materials maximizes the advantage of fluorocarbon virtually invisibility in water. 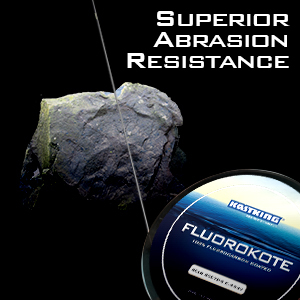 The unique fluorocarbon materials make the line superior abrasion resistance and offer great knot strength. Works as advertised. I put this on my bait caster and works perfect. I have one reel spoiled up with 12lbs and I picked up some 17lbs to tie leaders. So far it’s holding up very well! I went fishing today with the new Kingkast line and a KingKast Stealth I also purchased and I am enjoying it so far especially the new reel. I did have a few more birds nest than normal but that is to be expected with new reel I'm still getting use to a new line that the memory hasn't set in yet. I'll come back and update the review in a few months but I'm loving it so far! Great quality fluoro line. Always impressed by KastKing products. Highly recommended!